Alpha Delta Gamma is a Greek-letter social fraternity and is part of the North American Inter-fraternity Conference.The fraternity was founded at Loyola University Chicago in 1924. 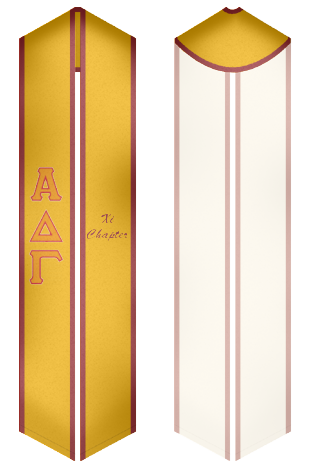 Today the fraternity operates 12 chapters across the US. With many famous members this fraternity is very special among all fraternities and members take real pride in showing off that they belong here. 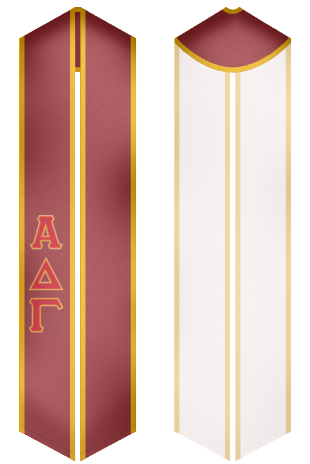 Order your sash or stole from us and let people know that you are a part of Alpha Delta Gamma when you graduate.